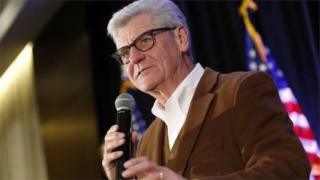 The governor of Mississippi has signed a law banning abortion after a foetal heartbeat can be detected, which is about six weeks into a pregnancy. The law, which becomes one of the most restrictive in the US, is expected to be challenged in courts before it is due to take effect in July. Critics say the ban's intent is "outlawing the procedure before most women even know they are pregnant". It comes amid several new restrictions on abortion among conservative states. "We think this is showing the profound respect and desire of Mississippians to protect the sanctity of that unborn life whenever possible," Governor Phil Bryant said after signing Senate Bill 2116 on Thursday. He added that he and other Republican politicians are "haunted by the hundreds of thousands of babies that are murdered across the nation" every year. 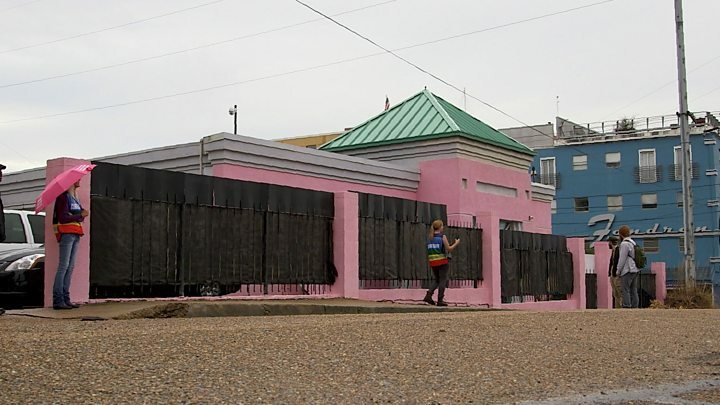 A ban on abortions after 15 weeks was passed in Mississippi in November 2018, but was almost immediately blocked by a judge who later overturned the law saying it "unequivocally" violated women's constitutional right to an abortion. Critics in Mississippi say that the bill will probably be overturned, and that the state is wasting money by mounting a legal defence. Lt Gov Tate Reeves, who also supported the bill said the state would pay "whatever it costs to defend this lawsuit, because I care about unborn children". Only one Republican in the chamber, which is reportedly the most male-dominated statehouse in the country, voted against the bill. Representative Missy McGee told the Clarion Ledger: "I cannot support legislation that makes such hard-line, final decisions for other women."